Vermont Paddle Co. crafts custom hand made ash paddles in the traditional northwoods style. While we usually only accept custom orders, we do from time to time offer pre-made paddles. This beautiful walnut paddle is just that exception. Take a look at the beautifully unique grain pattern here, hand crafted from 100 year old walnut grown right here in New England. 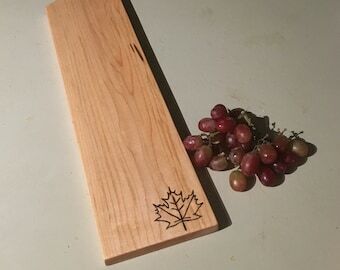 This paddle is a one of a kind being offered at the low $100 price due to a branding mistake with the VT Paddle Co/ Logo. There is literally no other paddle like this on the planet! Walnut is a beautiful and durable wood with consistent grain and good shock absorption. All VT Paddle Co. paddles are hand crafted here in Bondville, VT and come stock branded "Hand Crafted-Vermont Paddle Company." All of our wood for paddles is sustainably harvested and milled right here in VT. Custom monogramming is available to all customers at no extra charge. This is an oiled paddle with a classic historic paddle feel. It has an oil finish that penetrates deep in the wood to preserve water repellent. This paddle is 62" long with our standard "26" beavertail blade. The blade measures 6" wide at its widest. All of our products are crafted using found, scavenged, reclaimed or sustainably harvested wood. The wood for this paddles was sustainably harvested and milled over fifty years ago near Walpole, NH. 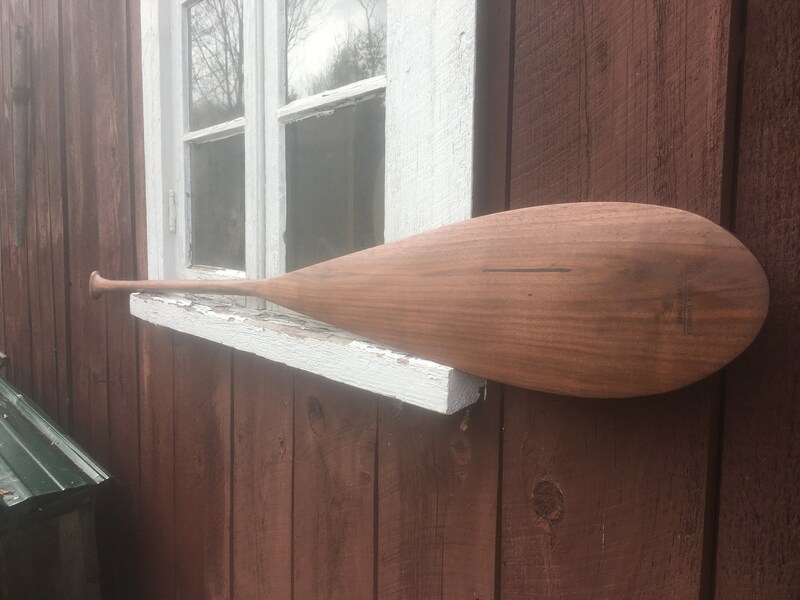 This paddle was then hand carved, sanded and finished using minimal fossil fuels at Vermont Paddle Co. in Bondville, VT.